Social Security Disability payments are a much-needed benefit for those who are disabled to the point where they cannot work and earn income. However, many people try to take advantage of the system and claim benefits even though they are still able to work. Some even continue to work, reaping income from two sources. This is what a Louisiana man did when he claimed that heart disease and a back problem kept him from working. In 2010, the 68-year-old man applied for Social Security Disability benefits. He was approved in 2011 and started receiving $2,400 a month in benefits. He was ordered to report any other income. The man failed to do so. In 2012, he began earning a salary as a mortgage broker and loan officer. He worked for the company until 2017 and never reported any income. The Social Security Administration caught on and arrested the man for making fraudulent statements. He was sentenced in early February. He was placed on probation for three years and ordered to repay the benefits he received, which totaled $134,000. Social Security Disability fraud can occur in various ways. False statements are common. These may include lying about income or a disability. A person may also falsify documents such as driver’s licenses and Social Security cards, particularly illegal immigrants who not have such documents. Misuse of benefits can also occur. A payee is designated by the Social Security Administration so that the disabled claimant can receive their money. If the payee mises these funds and uses them for their own purposes or gives the benefits to someone else, this is considered fraud. Many people also conceal information, which is what the man did in this case. He did not inform the Social Security Administration that he was earning money elsewhere because he did not want to lose his eligibility for benefits. Another way in which people conceal information is by not informing the Social Security Administration that the beneficiary has died. The payee sometimes continues to cash the checks. Fraud is a serious crime. A person accused of fraud can face five years in prison and face fines of up to $250,000. A person can also face penalties in civil court. They can have a professional license suspended or revoked. Many are forced to pay restitution, meaning they must pay back the money they were given. Fraud costs taxpayers their hard-earned money. Therefore, those who are aware of it should contact the Social Security Administration through their website and report the situation. 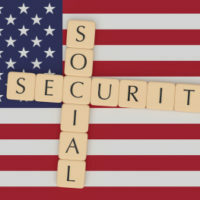 A lot of fraud is discovered among government programs, which means many factors need to be taken into consideration before awarding someone Social Security Disability benefits. This often means that those who truly need the money are likely to see their claim denied. If your claim has been denied, seek help from The Law Office of Michael Lawrence Varon. He can assess your claim and help uncover any errors that can lead to denial. Get your claim approved the first time around. Schedule a free consultation by calling 914-294-2145.